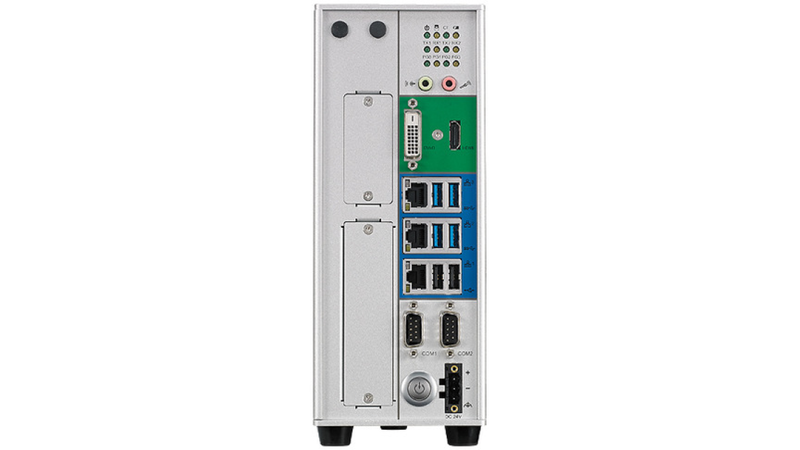 NET 300-ECM is a high-performance EtherCAT controller, built in 6th generation Intel® Core i5-6500TE processor (Skylake-S). Based on a real-time operating system, NET 300-ECMs communication cycle time can be up to 250 microsecond, and also offers EtherCAT distributed clocks functions. The EtherCAT controller supports up to 64 slave modules which could be a wide variety of third-party devices, such as servo motors/drives and I/O modules. NET 300-ECM is the ideal intelligence system for machine applications. Its front-access I/O Design simplifies the wiring, and it provides expansion mini-PCIe slot which can integrate other fieldbus devices for more application possibilities.